This is a great beginner class! 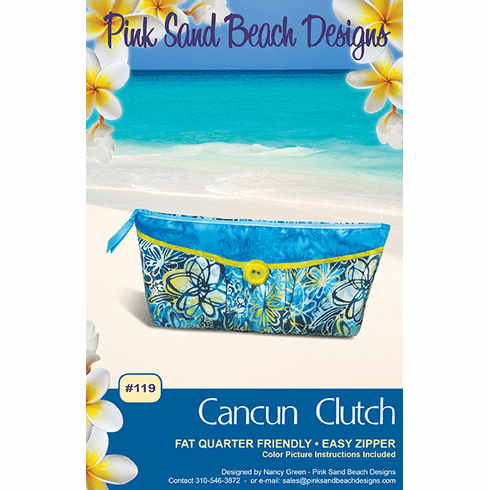 Use as a clutch purse or a travel cosmetic bag. It has an easy to sew zipper top and is made with four fat quarters.